Last week, it was confirmed that Game of Thrones actor Finn Jones will play Danny Rand, a.k.a. Iron Fist, in the hero’s eponymous Netflix series. However, aside from the rumor that Carrie Ann-Moss might reprise her Jessica Jones character Jeri Hogarth, there’s been no announcements regarding the rest of the show’s cast or characters. However, there’s now word that Iron Fist might be joined by one of Marvel’s other famous martial artists on his series: Shang-Chi. Marvel is currently in the process of casting Shang-Chi for Iron Fist, which is said to be kicking off production in April, according to reports from MCU Exchange and The Hashtag Show. It’s also said that the series is exclusively auditioning male actors of Asian descent, keeping with the character’s background in the comics. As well, it's rumored that if Shang-Chi is well received on Iron Fist, he could receive his own Netflix series. Considering how the rumors turned out of The Punisher getting the same treatment following Daredevil Season 2, take that second part with a grain of salt. Hashtag Show was the place where the rumors about Finn Jones first surfaced before being confirmed elsewhere, so it's not like they're completely out of the loop or anything. Introduced in December 1973, only five months before Iron Fist first appeared, Shang-Chi is the son of the criminal mastermind Fu Manchu - obviously Marvel’s version, not the actual literary villain - and was raised to believe that his years of martial arts training were meant for benevolent purposes. However, he eventually found out about his father’s evil activities and rebelled against him. After serving as an MI6 agent, he became a standard superhero adventurer, which included joining the Heroes for Hire team. Shang-Chi’s more recent appearances in the comics include the Shadowland storyline (which is speculated to be adapted for Daredevil Season 2), being recruited as an Avenger during the Marvel NOW! relaunch, and taking part in Spider-Island. 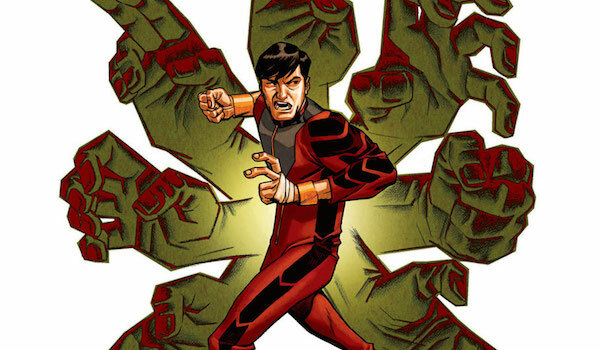 Unlike most of the heroes in the Marvel universe, Shang-Chi doesn’t have special powers. He’s just that good at fighting, and his disciplined training has also increased his agility and awareness of his surroundings. From the way they’re talking about Shang-Chi in Iron Fist, this casting's potential legitimacy means he’ll likely have a major presence, whether as a main cast member or recurring character. While it remains to be seen what Shang-Chi’s future is after Iron Fist, Marvel would be wise to keep him involved with the Netflix side of things. The MCU’s current Defenders lineup only has Daredevil, Jessica Jones, Luke Cage and Iron Fist, but it would be cool to see Shang-Chi (along with Punisher, Trish Walker as Hellcat, and any other supporting heroes) joining the group, giving the street-level superhero team a larger roster in the miniseries. We’ll keep you updated on any developments regarding Iron Fist, but like Marvel’s other Netflix shows, you’ll be able to watch all of Season 1 at once when it’s eventually released. My guess is early next year.